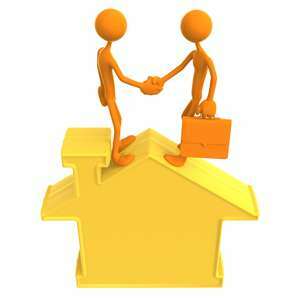 There is no business where relationships are more important than in real estate investing. In this business we talk to a lot of people. If you are to be successful, it’s imperative that you are able to quickly build rapport with them. Is there an art to building relationships? I believe that there is. the whole course of what ultimately happens. It can determine whether or not you get the appointment, whether or not you are able to put a deal together or whether that seller has no connection to you at all. When I first begin a conversation with these sellers, I ask them to tell me about the property. I could jump right in and begin asking the questions I always ask; the questions I will ultimately need to know the answer to. But that’s not what I do. I try to get them to tell me some nugget of personal information in those first critical minutes. Once you know something personal about the seller or possibly the deceased if this is a probate lead, you can begin to build a relationship that will hopefully lead to building trust. We all know about “the big three”; the three things that have to exist in a business relationship to be successful. They are “know, like and trust”. Folks do business with people they know, like and trust. It’s just that simple. If one of these things is missing, it’s unlikely that you can build a successful business relationship.These same rules apply where personal friendships are concerned. I use the beginning of the conversation with the seller so that I can get to know a little bit about them and their situation. When you just let them talk, however long that might be, they will reveal many things including their motivation. You need to listen patiently and without interrupting. I am the first one to admit that this can sometimes be a painful experience. If you find out that they like to garden and you are a gardener, then you have found your personal connection. Maybe you have the same hobby or like to vacation in the same place. It really doesn’t matter what the connection is so long as there is one. Once you know something about them, you can begin to build rapport with them. When they have finished, I also like to use this time to tell them a little about me and what I do. By genuinely showing an interest in what these folks have to say, you will go a long way toward taking care of this one. People can tell if you aren’t interested or are not really paying attention to what they are telling you. Try to find some common ground to enhance the conversation. I have also told the seller on more than one occasion that I am not their best bet; that their house was just too nice for me to buy and they should list it. They will always thank you for doing that. You may even get a referral later on just for being honest. I believe that if you are able to do these things, you will be light years ahead of most folks in this business. And whatever happens, whether or not you get the deal, you will be memorable. Always leave a good impression behind when you walk out the door. This is where you either make, or break the deal. Many of us go over this with a minimum of concern. Always well thought out and detailed posts Sharon! Thanks for this! I know that you are an expert at this Iman, but it is very difficult for some newbies to master this skill. And as you know, it is just so critical to your success. Thanks for stopping by my friend.